When we find ourselves in that situation we always get creative. Egg this, egg that... this time we decided to try an Egg 'N Bacon Smash. Actually, just a fancy name for an egg salad BLT! Make your favorite egg salad. Ours is homemade mayo (*see recipe below) mixed with hard boiled eggs, sea salt, white pepper, and a few healthy squirts of yellow mustard. 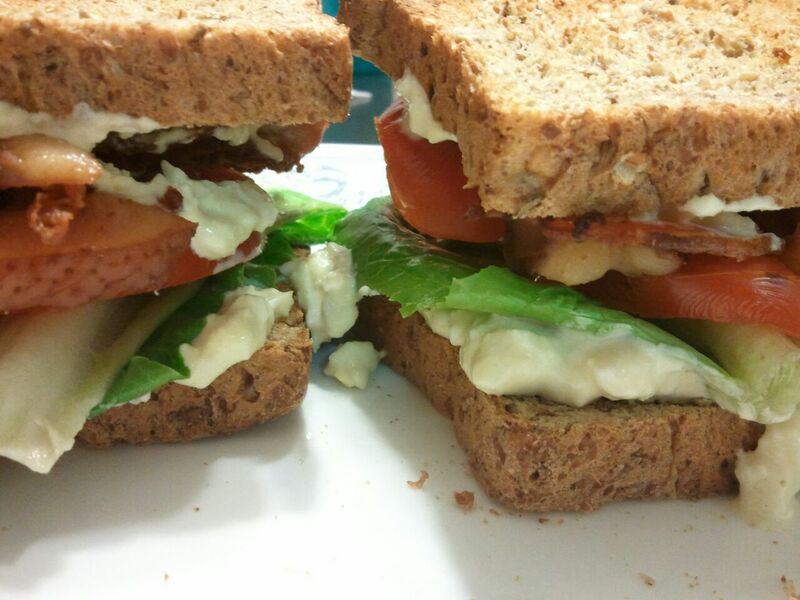 Once you have your egg salad ready, toast some sprouted grain bread, use your egg salad as your 'mayonnaise' and 'lather up' both sides of toast, add bacon, lettuce, and tomatoes. That's it! These were so good, the kids went through a loaf and a half of bread making them in one meal! We cooked up several packages of bacon for these in the oven on a shallow pan. Extra cooked bacon can be stored in the fridge or freezer for more of these yummy sandwiches! You will need a quart wide mouth canning jar and an immersion blender for this recipe, but it is EASY and worth it to your heart health! Now, insert your immersion blender to the bottom of jar. Turn on and hold steady in place, do not move around just yet. You will quickly start to see white at the bottom of your jar and the mayonnaise beginning to form, when you see this in the lower portion of jar, begin to move blender from side to side then up and down. Voila! You will now have yummy, fluffy, heart-healthy mayonnaise!